Ok people, here it is - short and sweet! Please forward this flyer on to your friends and associates, and print it out for work and wherever else you think it could go. This is one issue worth being an activist on. This property madness must stop. Note: Cantabrians UNITE appears to be currently offline. I suggest referring to Hugh Pavletich's main site if you want more detailed information. 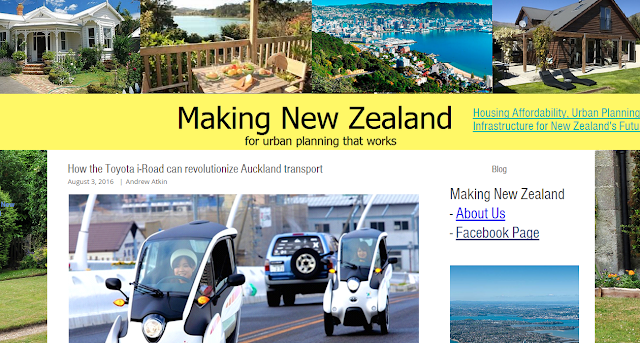 Direct link to: Hugh Pavletich, of Performance Urban Planning, who is New Zealand's leader on the drive towards housing affordability. But isn't sprawl environmentally destructive? With only 1 part in 125 of New Zealand's land area covered over in built surfaces, and approx one or two parts in 100 world over, you can hardly claim that sprawl is anti-environmental. The geographical human footprint is overwhelmingly a food issue. Indeed, we do not have enough farmland (actual or latent) to feed a population so large that human settlement could cover a more significant 10% of the earths surface. We would starve before we could pull that off. What's more, sprawling suburbs tend to induce considerable garden and biodiversity over time, promoting environmentalism, and sprawl can be (and at times has been) designed to be so Green that you can hardly see the houses for the trees. It would take about 100 years for New Zealand to double the size of that black line, representing artificial surfaces on the graphic. And this assumes deliberate growth from immigration, because natural growth from native births has stabilised in both New Zealand and most of the industrialised world. But doesn't sprawl lead to greater transport costs? Overall - no. When cities sprawl out they take most of the new travel demand with them, as jobs and infrastructure follow the expansion. Most new transport demand becomes localised to the fringes. What's more, the alternative to sprawl is densification, and densification increases traffic congestion which in turn impairs transport efficiency. But doesn't sprawl cost lots of money in new infrastructure? With population growth, new infrastructure must be provided regardless. In a city that is already operating at capacity, densification (not sprawl) requires demolish-and-rebuild for greater capacity, which is hugely more expensive than simple add-on's at the fringes. Won't the introduction of affordable housing make my home worth less? In terms of local market value, yes, but this is a correction and it must happen if we are to ever see rationally priced housing. What's more, over-inflated housing is fools gold. You can only cash-in if you downsize your home aggressively, and most people don't. Note that every dollar of appreciation you win from the artificially inhibited land supply, your children lose (and more) for when their time comes to buy a home. So you're hardly winning them an inheritance. Finally, the impact of artificially restricting land supply goes well beyond the residential sector. Forcing commercial operations to pay-out big money to landlords for industrial/commercial land makes your locality a bad choice for new investment, likewise inhibiting economic growth (often severely). It also, of course, drives-up local prices for almost everything. What we're seeing, basically, is nothing more than a mass-collective monopoly of landholders using political savvy to rig the game so as to inhibit their new-build competition. The result is a major (and totally unfair) wealth-transfer away from those who don't hold land to those who do. The landlords win, everybody else loses, and economic investment gets suppressed. But the people want the "smart growth" [forced densification] vision. They voted for it! Did they? There are questions here. Regardless, the vast majority of people just don't know the facts, and that is why I am writing this. When did you last hear your mayor tell you that only 1 part in 125 of New Zealand's land area is covered over in sprawl? Is it not curious that all they can say on the issue is "sprawl takes up valuable farmland"...yet can never find enough space on the page to state the most basic and important fact? Alas, there are many pigs in the trough that don't want to see affordable housing come about, and they have been (and still are) providing a torrent of grossly ill-informed, nonsense commentary on the issue. And that is being polite. 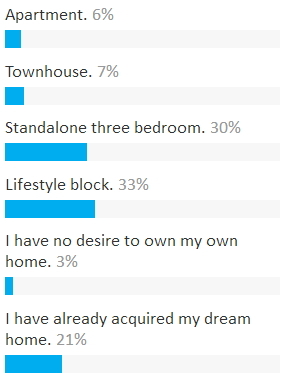 The following image was taken from the New Zealand Herald's survey, showing common housing preferences in New Zealand. Sadly (though predictably) this excellent graph has now been removed from their page. Democracy at its worst is a 60% majority voting to turn the other 40% into their personal slaves. And this is why we have (or should have) constitutions. Constitutions are meant to protect individual rights from governmental/democratic abuses. Sadly we do not have legally binding constitutions in New Zealand. Forced urban intensification has facilitated a massive wealth transfer from those who do not own land, within the metropolitan urban limits, to those who do. The cost of restricting land supply has not been shared among the population fairly. This scenario has been enforced by the power of the government - and the power of the vote. It is a disgrace. We have also achieved the amalgamation of local government in Auckland - giving every resident in the city the vote on how every other resident must live (by dictating development form). But is it really reasonable for the people of South Auckland to vote on how the people of North Auckland must live, considering that the people of South Auckland spend 99% of their time in the South? Why are the public being asked to vote on how others must live their lives, when the question has virtually nothing to do with them personally? Another disgrace. Lifestyle choice is an individual decision - not a democratic decision. But isn't a compact city a world-class city? It's more than rich to attribute the largely subjective words of "world class" and "most livable" to a city that has enforced radically unaffordable housing - and on the generation who can least afford it. That is, young people trying to create a family. Please ignore these empty "livability" claims. All this mantra is designed to get people to make the "right" assumptions without thinking. And then there is the issue of competitiveness. Melbourne and Sydney are at last looking to reform their forced-densification agendas. They have come to accept it was a mistake, and has been (is) a social disaster. They are making moves to open up new land on their fringes, enough to reinstate affordable housing. What will this mean to the Kiwi exodus to Australia? The current out-migration gale stepping up to a hurricane? ...And if you want to get academic-heavy, more. ...if you want to see a great video, here. This is an incredibly, succinct, illucidating report. I haven't read all the report you've put together but I know here in UK the shortfall in housing is being used as a stick to beat us indigenous people with by our slave masters. This sounds wonderfully conspiratorial and glib but I think the new world order is one which intentionally exploits the most fundamental fears and traumas in us. 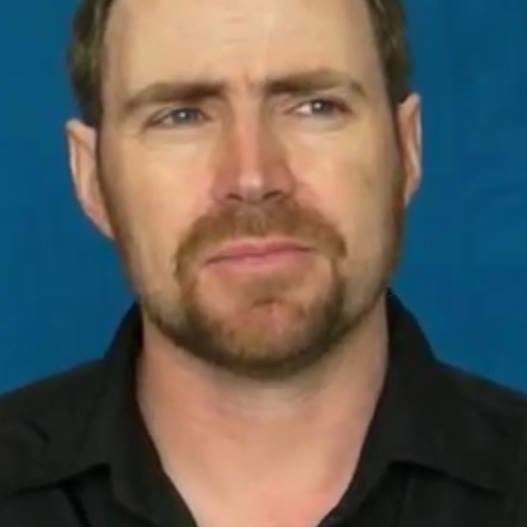 You can tell from the new politic speak that the new world order is one which only exists in the ne-cortex where feelings and genuine security have no value other than to exploit the DURTH of. Fear Fear Fear. . . Playing those mind games, projecting out images in time and space. Margaret Thatcher bought into Milton Friedmans 'monetarism' & free market enterprise back in the 70s. The idea being that what was good for America would be good for UK. This was part of a trend which started possibly even before WW2. You and your readers may be aware of this historic change in economic strategy in UK but it seems to me to be spreading all around the globe. First of all Bevan introduced the 100% betterment taxes as part of unrolling the new town & country planning act 1947/8 (a good thing to prevent unscrupulous development). In a meeting with all the leading (Tory subscribing) construction leaders (including McAlpine) he famously said: "If this were a military operation I would have you all put up against a wall and shot". He was not joking. Successive Tory Governments reduced the betterment taxes and allowed unscrupulous development. We then got rid of Industry, the branch line rail network (best in world), introduced cars and a massive inappropriate road building program, the service economy, massive drug prescription NHS, introduced monetarism, got rid of vocational training and last but not least dismantled the social housing system and started building on flood plains where houses are no longer insurable thus can't be sold or bought except for cash. . . We are now short of skills, jobs, houses, hospitals, industry, health, bio diversity is crashing in the countryside and sharia law is now given equal status in the street my 12 year old daughter lives in. Britain has become a NON society. I hope the same is not happening to you Kiwis but I suspect a version of it is already well underway. . . I even doubt my sanity to say these things because it doesn't fit into the politically correct liberal speak we should all be learning to keep our task masters from prosecuting us for being 'non compliant' and 'ungrateful'. It would be nice to travel to NZ one day, I hear there is a need for carpenters there but I suspect I'm too old, too jaded and too radical for the new 'intake interview'. . . There's certainly NO chance of me getting into US apart from a tourist visa. I know you made a nod towards the fact that "things are more complicated than I can go into here" in your presentation. Is this an allusion to the fact that real estate value has become the "gold standard" if-you-will, of the modern economy. I don't doubt that you understand the concept of all new money (except govt. banknote and coinage) being created as interest-bearing debt and that "real estate" has become the collateral of that money. As the money supply needs to expand by at least the rate of interest in order to maintain (what is laughingly called) stability, then real estate can never become, to any great extent, more affordable, without inducing a crisis of confidence in "colateral value" as per GFC 2008? Well, if you can build a new home for $300k then you can't sell an old one just down the road for $600k, no matter what the money supply is doing. So you have to restrain the supply before the money games can begin, and inflate the market. And indeed, throughout the USA we see property bubbles only in the markets that actively cap the supply. Loosely, access-to-credit governs how high the bubble can go (which is essentially what you're talking about, I believe), whereas the capping of the supply dictates whether you get a bubble in the market in the first place. I am amazed this article is discussing this issue. Usually, people are just very pleased their 2 bedroom one bath fixer upper built in the 1930's is worth close to a million dollars. They do not question wherever they go will be that much more expensive. They do not care they are paying property taxes on that million dollar value. They do not care if it is contributing to homelessness. But the bubble will burst in probably less than 24 months. Because, as I understand, you've got over 200,000 rentals in Auckland which are not being sold ONLY because the capital gains make it worthwhile to keep them, in spite of crap rents relative to their current resale value. So, what happens when the capital gains run out? Pop. Everyone sells as it makes no sense to hold onto the asset, for when capital gains are no longer substituting the poor rental yields. ....and then after the collapse, it charges up again if the original dynamics that led to the bubble are still in place. But even after the Auckland bubble collapses, rents will still be much higher than they should be, because the houses are still artificially expensive to build. It's all a god-awful mess, and people like John Key are too infantile to care to do anything real about.